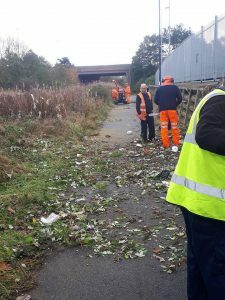 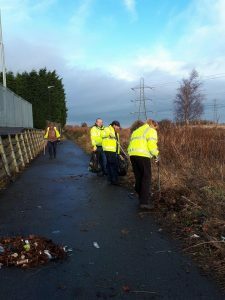 Clean and Green volunteers collected over 23 bags of litter from the footpath behind B&M on Peel Retail Park. 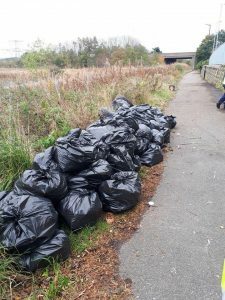 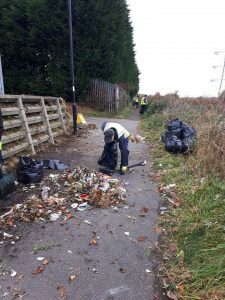 We previously visited this site in October and removed overgrown vegetation which covered part of the path along with 84 bags of litter. 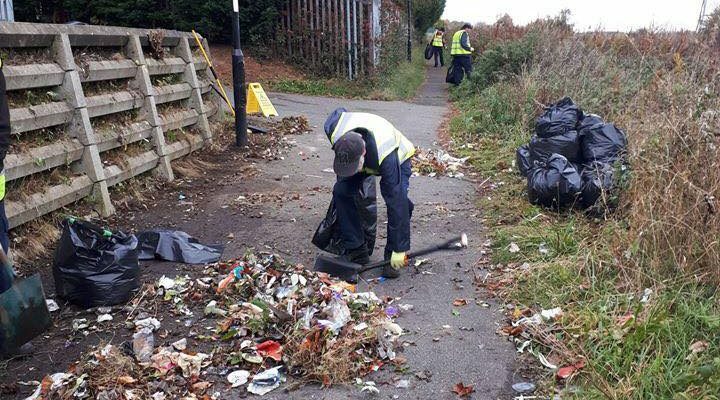 Volunteers worked alongside Grounds Maintenance from Sunderland City Council which was a great example of working together for the benefit of the local community. 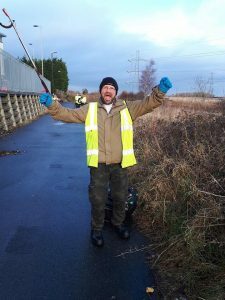 I would like to thank the Stephen Meek, Stevie Greenlaw and other staff from Council for all of their support, Washington Area Committee for there ongoing support and I would especially like to thank the volunteers for the tremendous work they have done this year.